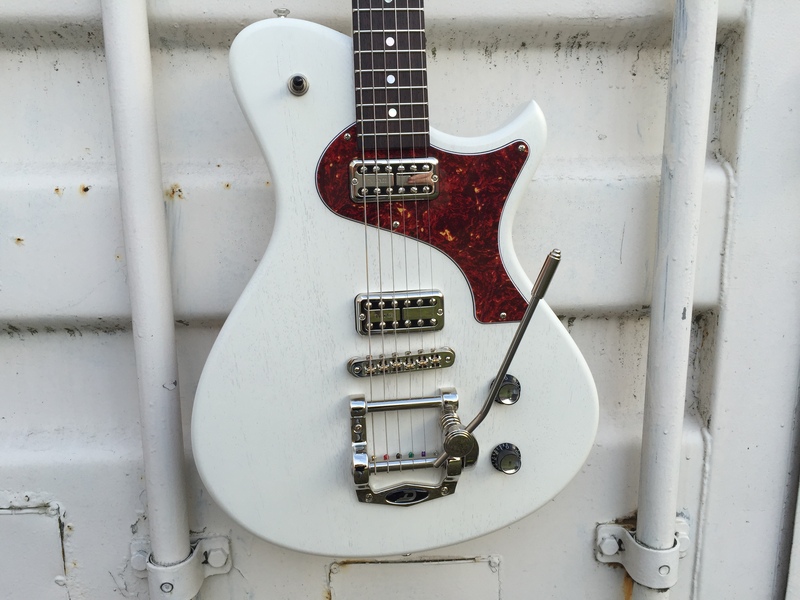 This Junior was custom made for Jan Geerts. It has a chambered body with TV white finish. 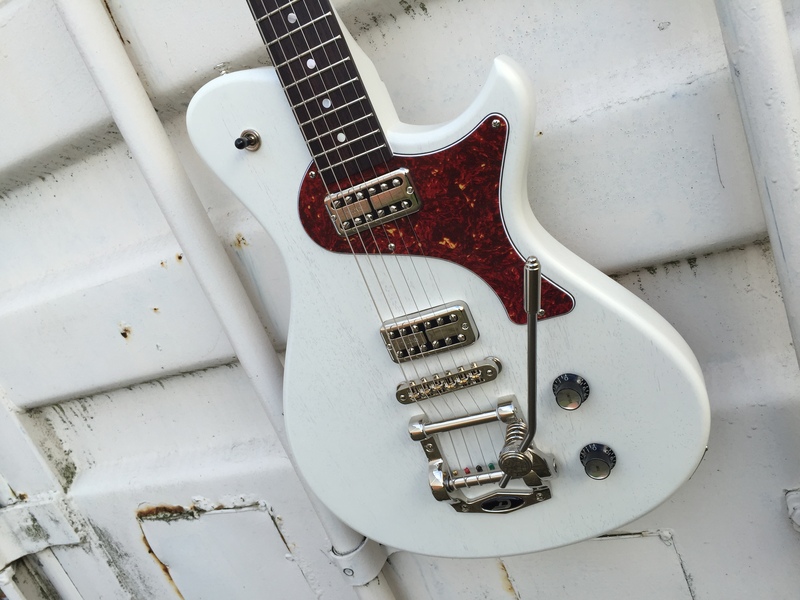 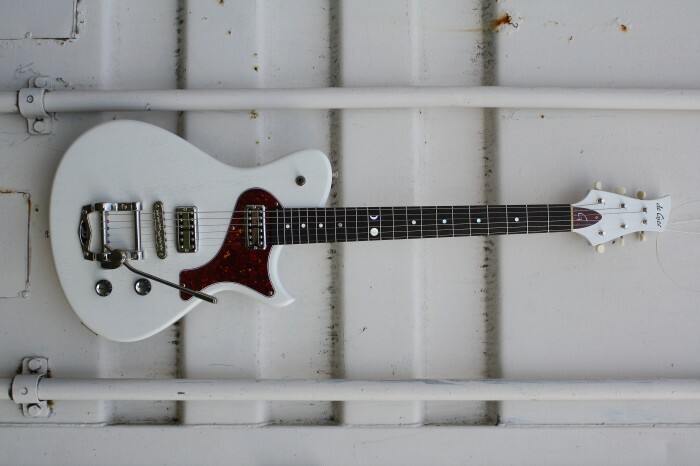 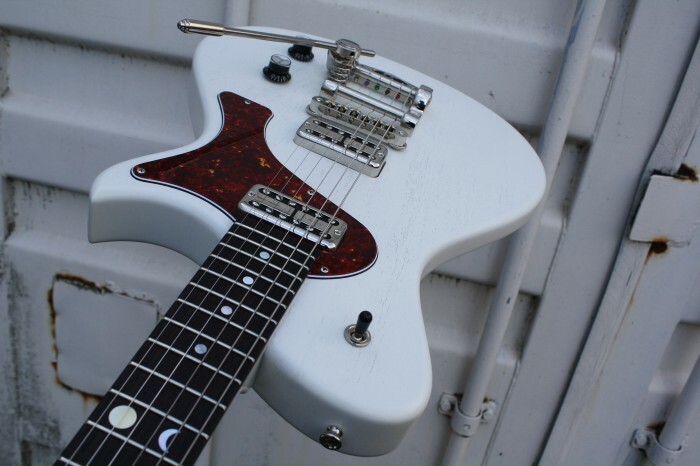 Together with TV Jones classics and a Bigsby trem this is a rock ’n roll animal.